I apologise for the recent hiatus from blogging but various aspects of my life have seemed to have greedily stolen my time and attention, the main culprits being Alevel coursework and a new job. However I have big plans for 2015 to rejuvenate thisischichi.co.uk with a new website design and blog posts. I am currently in the process of producing an interview series, so keep your eyes peeled and follow on bloglovin to keep updated! To wave goodbye to 2014 (a week late..) I wanted to share a few of my favourite outfit posts from Chichi’s year. Click on the titles to see the full post. 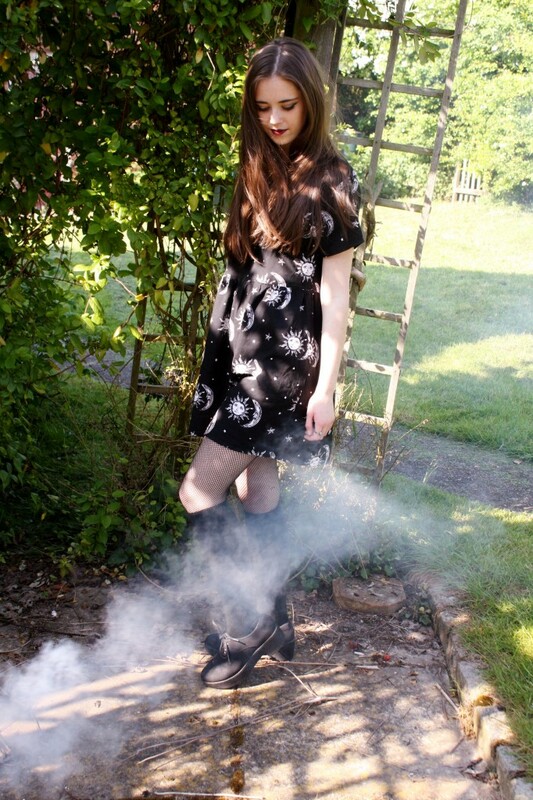 For this post I wore my favourite witchy motel rocks dress and played around with a fog machine to create an eerie more editorial set of blog posts. It was one of my favourites because I really focused on the photographic side rather than just displaying the outfit. 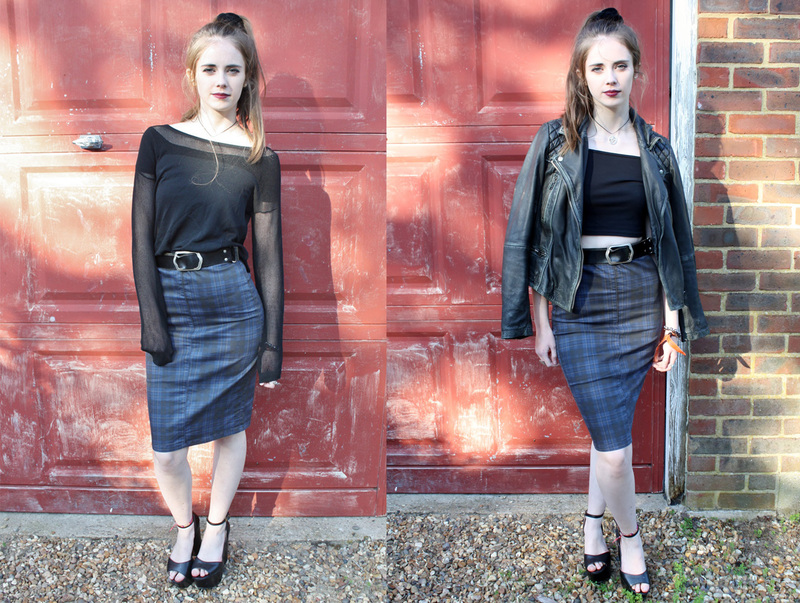 I was obsessed with this outfit for a certain period of time; throwing on an off the shoulder crop and a checked midi skirt was such an easy way to get a striking outfit. For this post I styled the skirt in two ways, the other with an embroidered white shirt (see here) but I definitely prefer this one! This was an outfit I shot in France in my favourite little black backless dress and a misguided duster jacket. The set of photos turned out quite nicely so do take a look at the full post, but I guess its not that hard to go wrong when kimonos are involved. Thank you to all those who read this little blog across last year and I hope you enjoy the things I have planned for 2015. This entry was posted in Uncategorized and tagged fashion blogger, Ootd, outfit post. Bookmark the permalink.